Awards can help motivate and retain employees. Everyone likes to be recognized for a job well done. Companies looking to give an employee a pat on the back or congratulate them for going above and beyond may want to consider personalized products like trophies or other awards for their employees which they can then prominently display on their desk. Anything from a plaque or paperweight engraved with the employee’s name underneath the title “employee of the month” to personalized watches featuring an employee’s name and achievement, items such as these can help boost company morale and potentially motivate more workers to go above and beyond the call of duty. A recent study from the Kenexa Research Institute found that employees who receive positive recognition for their performance tend to have a better impression of the company, are more satisfied and more likely to stay with the company than employees who receive no feedback. 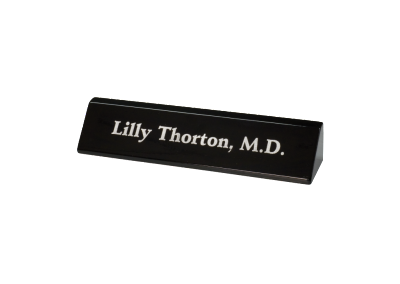 If you want to make a very professional presentation in your workplace, display your name prominently with a custom nameplate or desk sign. 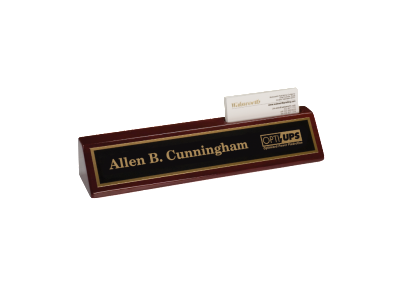 Office desk signs can be designed with your name, title, business or additional promotional information. 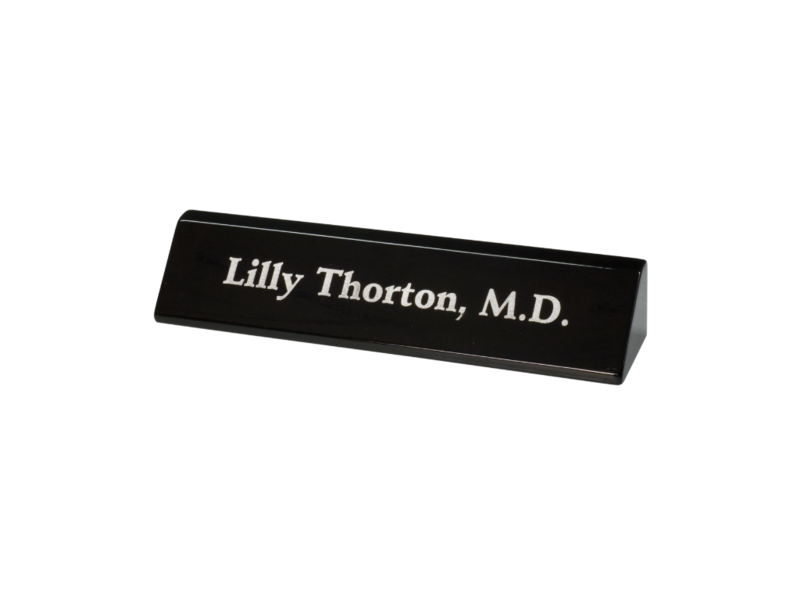 Choose from a variety of styles and colors to personalize your desk and match your decor. 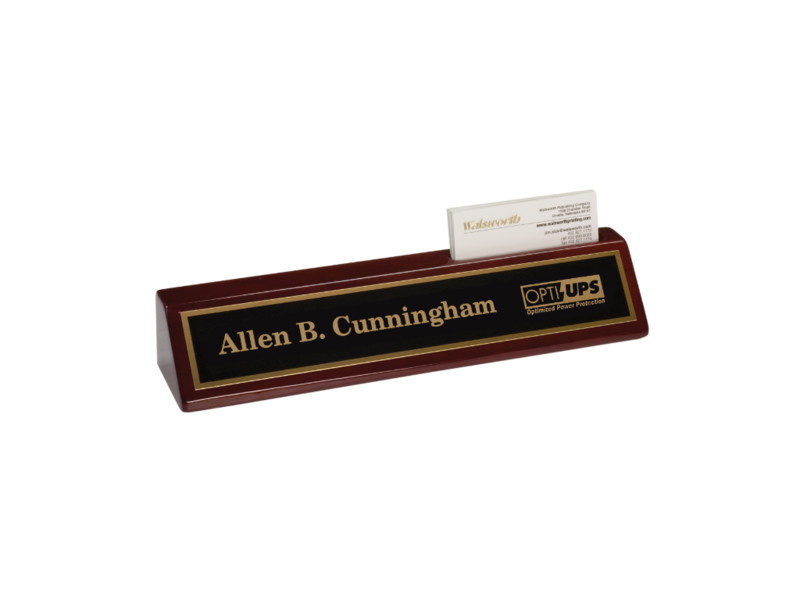 Set your words in brass, silver or gold with engraved name plates that look classy on your desk or anywhere you’d like to show off these keepsakes. Some include business card holder slots, pen holders, clocks, etc. Salute an employee for their good service with one of these gifts. And if you’re looking for custom office door signs or wall signs, we engrave those as well. Let customers know they’re in the right place with door signs that promote your business. These custom office door signs or wall signs are available in a variety of colors and styles, and affix directly to the door or wall at your place of business. 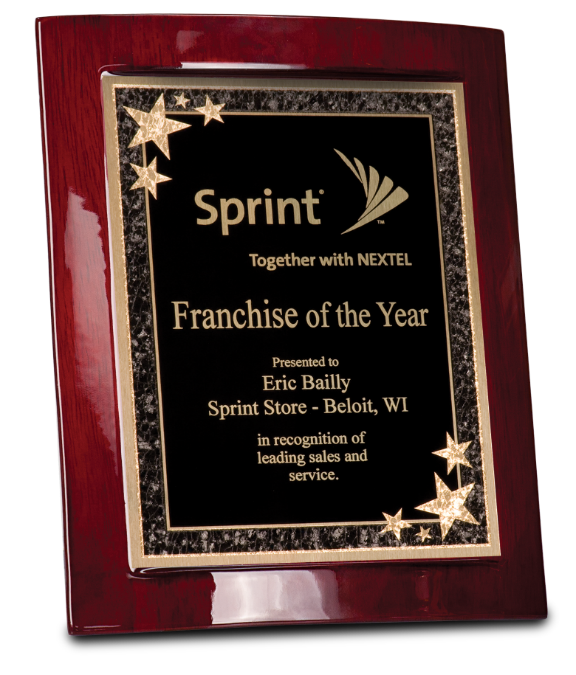 Need a stand-alone award or plaque? 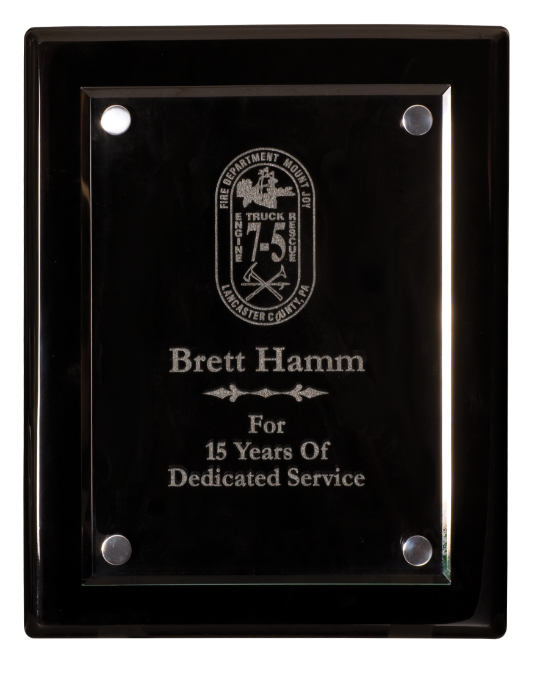 R&S Design will quickly engrave any message on a metal plate or directly into the material itself. We also have some materials in stock. 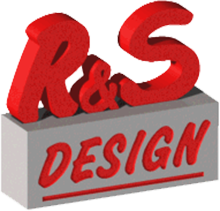 Contact us for pricing and turnaround times.